On Tuesday, the largest general insurer of the country New India Assurance has announced the launch of a portal to enable customers to buy policies online. The state-run insurer will offer products in motor, health, travel and personal accident segment through this portal along with policy renewal facilities, the company said in a release . According to the press release, the company will offer products of comprehensive private car and two-wheeler insurance, health insurance , personal accident and overseas mediclaim policy. The customer portal 'online.newindia.co.in' will also allow policy renewals. The existing customers would also be able to link their policies and track their claims among others. The insurer also launched 'Anywhere Any Time Renewal' facility through which a customer can renew policy in its 1,500 offices and also online, the release said. 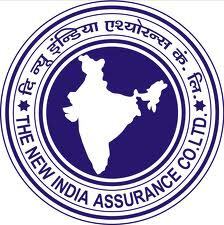 The insurer also said in the statement that it would launch its mobility solutions soon, which will have the facility to take and renew the insurance policies offered by it..
New India Assurance had registered a net profit of Rs 517 cr in the first nine months of the current fiscal (April-December).